Family Fundamentals is moving! Beginning March 4, 2019, all classes and parent resources will be on the 3rd floor of Explorations V Children's Museum in Downtown Lakeland. 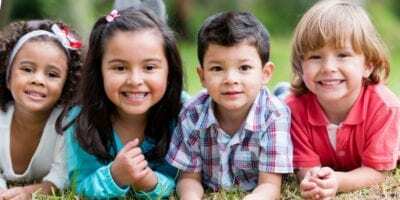 Learn more about Family Fundamentals' FREE weekly classes for kids ages 0-5. Whether you're looking for the opportunity to socialize with other moms, a place for your toddler to use up some energy, or a weekly activity to get you out of the house, you'll find something on our list. The Polk County Sheriff’s Office, in partnership with the Polk County School Board, are working to prepare our teens for safe driving. 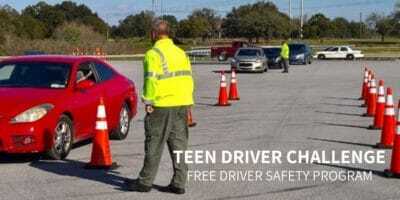 The Teen Driver Challenge is a FREE program offered to Polk County’s teens - find out how to register. Explorations V Children’s Museum has a calendar full of kid-friendly fun happening in October, November and December. Don’t miss the opportunity to be part of Boo Bash, Kidsgiving, Pennies for Play, Blast Off, Try It, and many other special events planned just for YOU. Huntington Learning Center has been helping students get the best education possible for almost 40 years. Whether your child is struggling academically or just wants to get ahead, Huntington can tailor a personalized tutoring or test prep program with one-on-one attention that will achieve results. Central Florida Athletics is one of Lakeland’s premier gyms for All Star cheer, recreational cheer, team gymnastics, tumbling, and recreational gymnastics. CFA also offers after school care, homeschool gym, summer camps, birthday parties, and more. Our Libraries aren’t only a place of quiet study, but also creative and engaging community centers that host numerous events for children and adults. Find out about storytimes, classes, and hands-on events for children of all ages at local libraries in Lakeland, Bartow, Mulberry, Winter Haven, and across Polk County. For over 38 years, Choe's Martial Arts School has been serving the Lakeland area with personal instruction in fitness and self-defense through traditional martial arts. Give your child the gift of Martial Arts this Christmas!